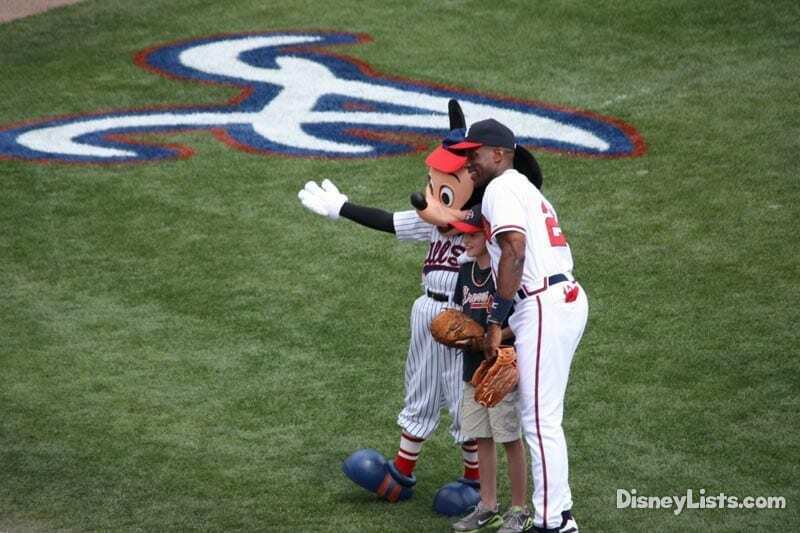 So, you’re headed to Disney World for your birthday? We think that is a brilliant idea as Disney World is definitely not just for the kiddos in the family and either are birthdays! You deserve a magical birthday and here are our top 8 ways we suggest adults celebrate their big day. As you get wrapped up in the planning of your birthday, don’t forget about some of the basic birthday must-dos that add a special touch to your celebration. First, stop by Guest Services and ask for a birthday button (it’s free!). 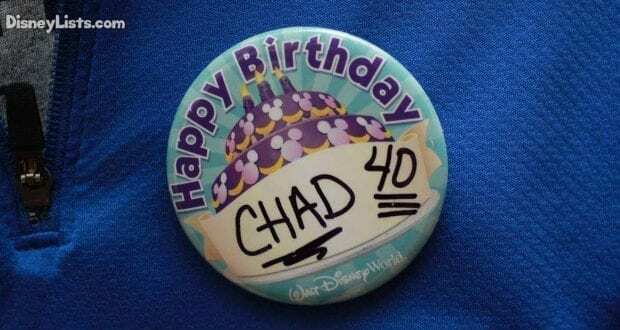 Wear this button everywhere so Cast Members and other guests know you are celebrating. You simply never know what magical surprises (like free dessert) a Cast Member might provide. 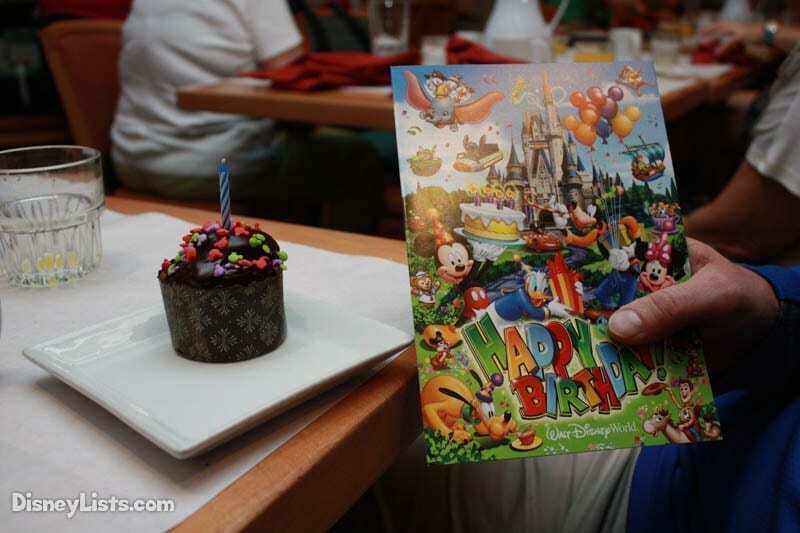 Plus, don’t forget to add your birthday celebration to ALL your dining reservations and resort reservations. Like we said before, you just never know who will go out of their way to make your birthday extra special! Disney Springs is the place to be for fantastic nightlife! With a plethora of restaurants of all cuisines, multiple bars, and numerous activities and entertainment – you will have a night packed with birthday fun. Don’t forget to shop for a birthday gift for yourself while you are there among the many retail stores. Before you set off on your Disney Springs birthday excursion, you might also check out times for the Cirque du Soleil performances or even look into reserving a lane for bowling at Splitsville. Do you like to celebrate your birthday with a little bit of hip swinging? If dancing is what you desire, head to the Boardwalk for a night full of dancing and drinks at the Atlantic Dance Hall. If you are looking for a different style of entertainment but still exciting, try Jellyrolls which is near the Atlantic Dance Hall and has incredible dueling pianos! 4 – Eat Desserts of Course! The best part about birthdays just has to be the desserts! Disney is the right place for finding the dessert(s) of your dreams. Whether you prefer to order a customized cake from Disney’s Floral and Gifts or just snack along in the park, you can have your cake and eat it too! We especially recommend checking out a Dessert Party such as Wishes Nighttime Spectacular Dessert Party at Magic Kingdom, Illuminations Dessert Party at Epcot, or Star Wars Galactic Spectacular Dessert Party at Hollywood Studios. Forget the typical candles in a cake and go for the desserts your taste buds are really craving. Editors Note: Wishes firework show will be discontinued soon and replaced. While the show will end the dessert party will continue. Read more about the changes coming to the Magic Kingdom nighttime show by clicking here. Probably the best way to spoil yourself on your birthday is to visit one of Disney World’s spas. Relax and unwind at Senses which is located at either the Grand Floridian Resort or Saratoga Springs Resort. You don’t even have to leave your room if you are staying at one of these locations and request an in-room massage! Don’t just stop at a massage, ladies and gentleman can enjoy manicures and pedicures among other fantastic options. If a spa treatment isn’t your cup of tea, give yourself the birthday treat of enjoying ESPN’s Wide World of Sport Complex on Disney property. Here you will find a great baseball field, soccer fields, and so much more. Check out their sporting activities in advance and purchase a ticket to go enjoy a game! Disney World has three dinner shows – Spirit of Aloha, Hoop-De-Doo Musical Revue, and Mickey’s Backyard BBQ. Check out details and reviews of these fun dinner shows and see what entertainment and food sounds the most interesting for you! They all have their perks so it’s tough to pick a favorite – but we’d probably lean towards Spirit of Aloha for our favorite food and Hoop-De-Doo Musical Revue for our favorite show. It’s your birthday, so spend a little extra for a dinner worth the time and money! If you’re tired of the same old birthday experience, Disney is the place to try something new! While many people think the theme parks and water parks are the only way to go – try celebrating with a unique experience unlike any other you’ve done before. Soar in the sky on Disney Springs’ huge balloon known as Characters in Flight; reserve a spot on one of the Disney World cruise boats and watch the fireworks from the Seven Seas Lagoon; rent a Jet Ski from Disney’s water recreation spot at Epcot and surf across the water; or take a horse-drawn carriage ride around Port Orleans Resort. The unique experiences at Disney are endless, so find what appeals the most to you and go for it on your birthday! We hope you have a fantastic birthday that makes all your dreams come true!